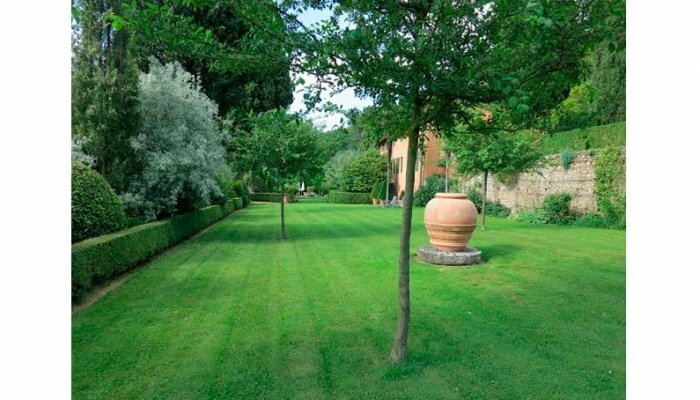 The garden is among the one hundred best gardens in the world and it has been widely published in garden books in numerous languages. 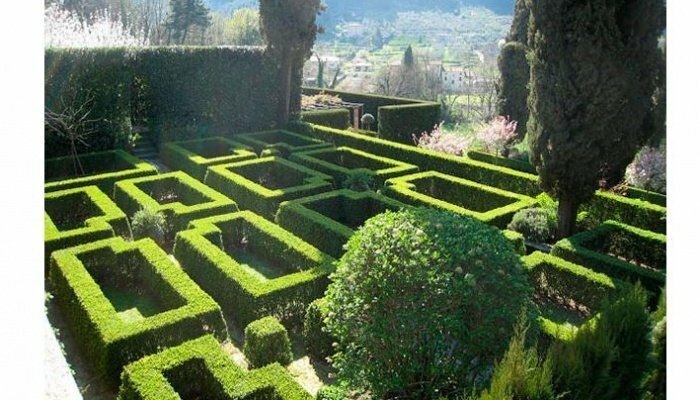 The formal gardens consist of 3 hectares of manicured garden "rooms," each created on a theme of Italian Renaissance style by the Villa's current owners. There is an Italian Garden with a rose-covered pergola which leads to a large basin with fountain jets. 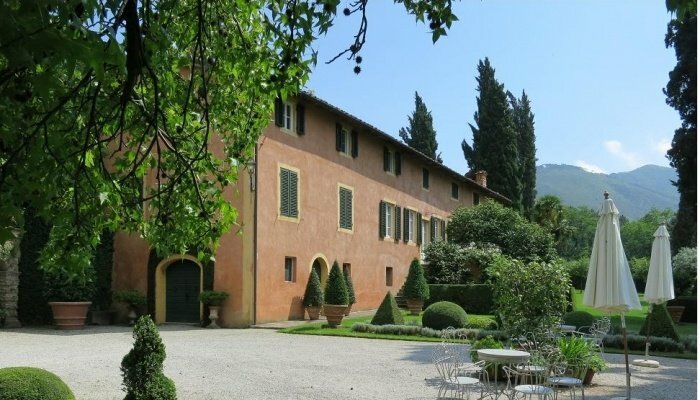 Built in the 16th century as a hunting lodge for a noble family, the estate consists of three dwellings: the villa, a guesthouse, and a custodian and service residence. 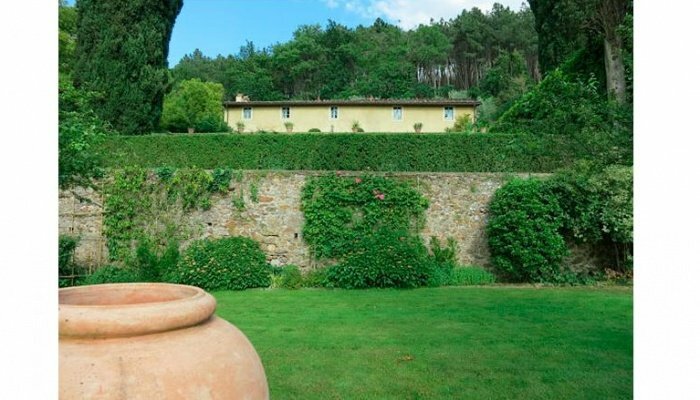 In addition to this the rear garden of the Villa is embellished with a 16th century grotto complete with antique stone masks spewing water to five individual fountains. 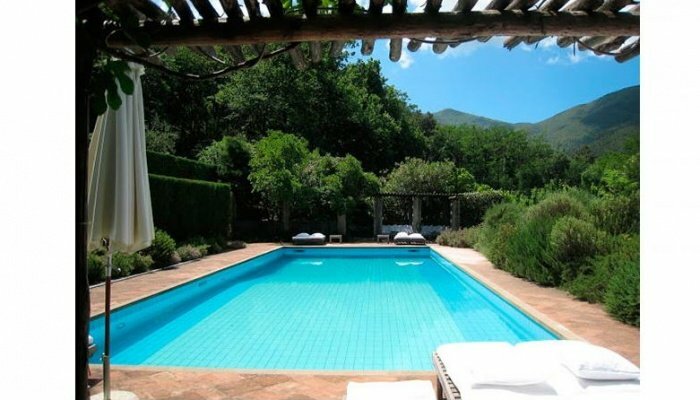 The swimming pool, 16 x 6 meters near the guesthouse, is fully private and gardened in flowering Mediterranean plants. On the main floor of the villa, or main house, are three reception rooms, a dining room, and a large formal king-size bedroom with a luxurious marble bath en suite. There is also a study, kitchen and breakfast room. In the upper floor are two en suite bedrooms, one a master king-size suite with large walk-in closet and en suite bath containing a separate shower and tub. The smaller twin room with extra large beds has its own deluxe bath with a tub. There is a large hall library and a small study. 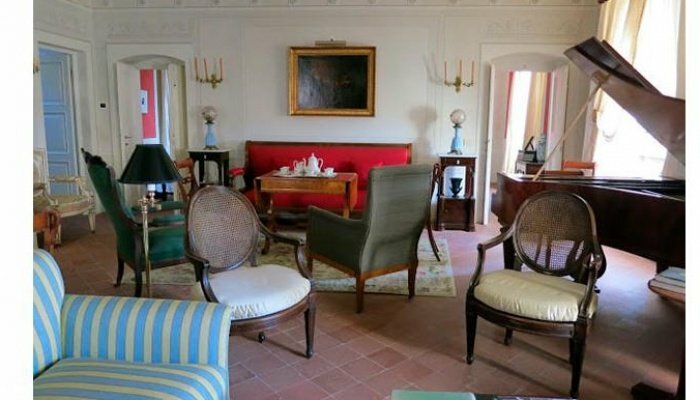 There is a powder room for visitors on the lower level.The recently restored guesthouse is just a few steps away from the main villa. It consists of a large reception room, eat-in kitchen, laundry, and a pool service area with changing room, shower and wet bar with refrigerator. The upper floor contains two large bedroom suites, one a deluxe twin room with oversized beds and the other a queen bedroom with its own private sitting room. Their en suite baths have tubs with overhead showers wall mounted. 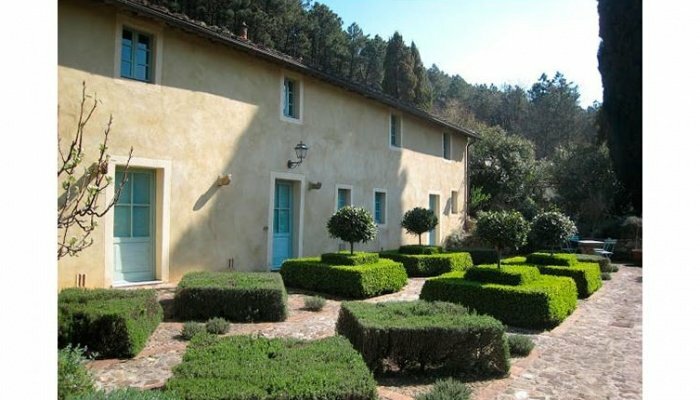 This estate is interesting also from the rental point of view, since the villa can be rented by the week at 18.000 euro.